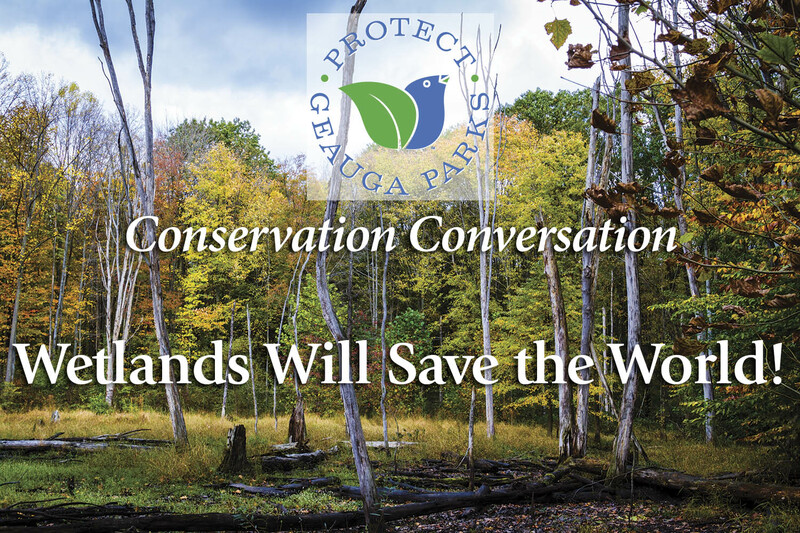 Join us for the first of our 2016 series of Conservation Conversations. This year we focus on the importance and value of water. From rain gardens to the Great Black Swamp, wetland restoration is in everyone’s interest. Ray Stewart of Ohio Wetlands Association will discuss the need for and benefits of wetland preservation and restoration. Wetlands act as the lungs and kidneys of our ecosystem. They protect our lakes, streams and ground water and help reduce flooding and erosion. This will be the first in our 2016 series of Conservation Conversations, focusing on the importance of water. As always, the program is FREE and open to the public – bring a friend! OWA is an all-volunteer, member supported conservation organization. We were founded in 1991 as Friends of Wetlands. In 2011 we became a 501(c)3 non-profit under our current name. We recognize that wetlands have been lost from Ohio’s landscape since settlement. The lower 48 states as well as most of the world has lost about half of its wetlands. Ohio has lost more than 90% is its original wetlands. The Clean Water Act and other legislation uniquely identifies wetlands as special features in the landscape and affords them protection above any other terrestrial habitat. Even so, relentless pressure from development, urban sprawl and all variety of economic interests continue to impact, diminish and remove native wetlands across the state. The true value of wetlands are seldom recognized for the variety of benefits they provide. In Ohio, 1/4 of the plant species, 1/2 of the fish species, 2/3 of the bird species, and 3/4 of the amphibian species that are listed as threatened or endangered in Ohio are associated with wetlands. Today, the public is beginning to see that wetlands are water filters and purifiers that are essential for clean and safe public waters. We must continue to speak up for wetlands. At OWA our slogan is “Wetlands for a Better Ohio”. Ray is a retired public school science teacher living in Amherst, Ohio. He functions as the chief outreach officer and Director of Communications. Ray has a BA in Botany from Kent State University and MA from Ohio University in Latin American Studies. He completed a Master of Arts in Teaching through the Global Field Program at Miami University in 2014. All of the Field work has, coincidentally, been in Latin America.